Robust front bumper worthy of the unpaved road. Protect your ride & mount lighting and hardware. 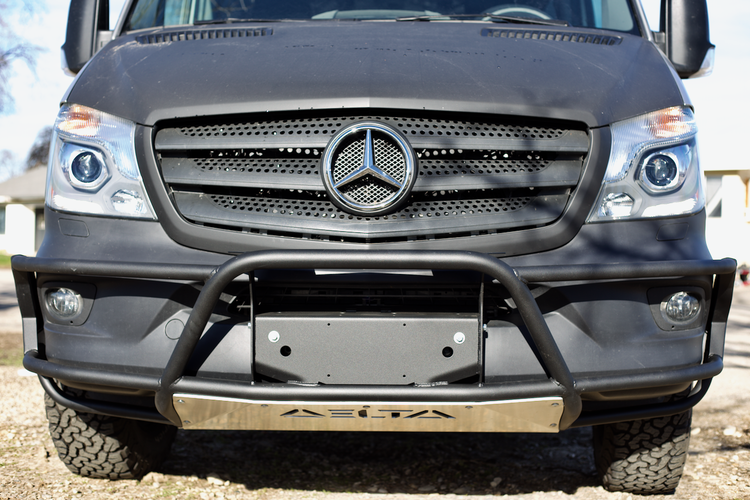 Because our bumper attaches to your Sprinter’s chassis and suspension frame, you can stand on it, mount bikes, etc.